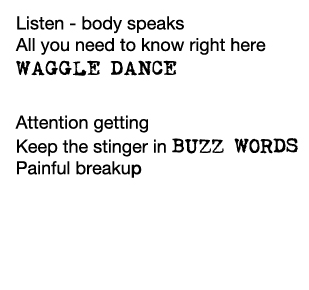 A workshop enabling the public to participate in the romance of words we have with bees, signaling the depth of our relationship with this threatened species. 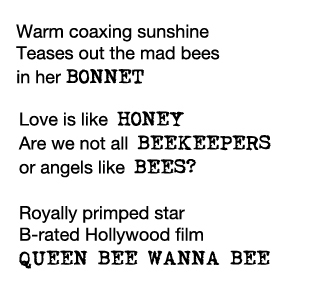 Our romance with honey bees goes back millenniums in cultural significance, referenced in poetry, art and religion. 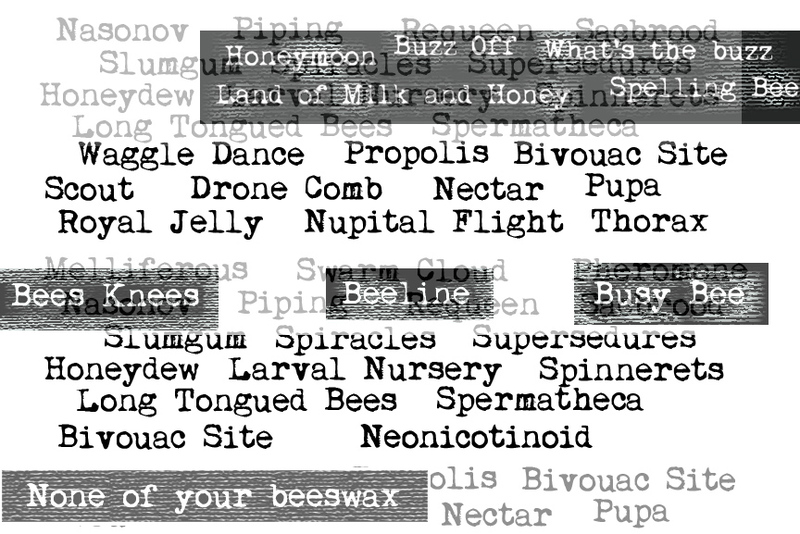 The art and poetry created for the installation reflects this multi-facetted relationship with bees. 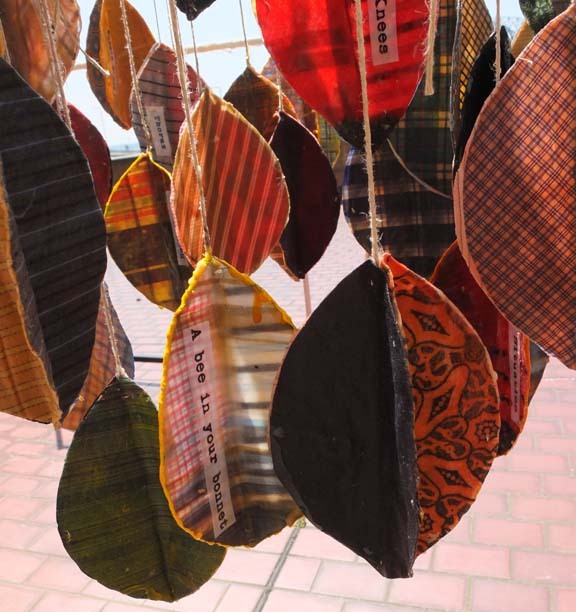 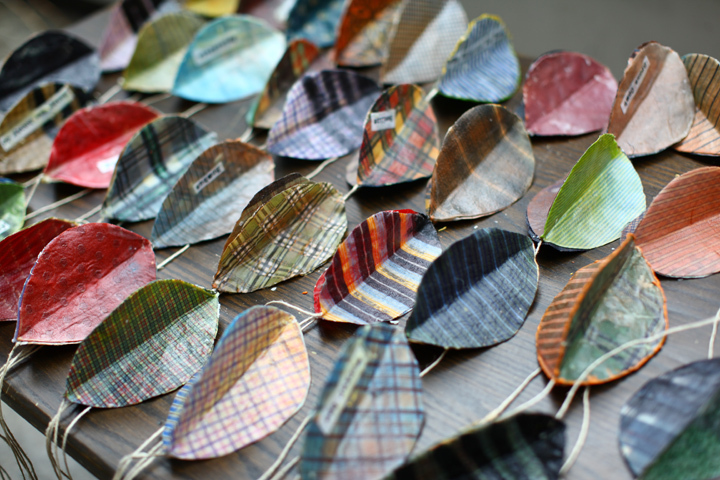 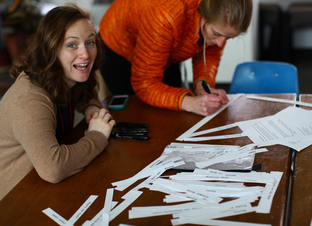 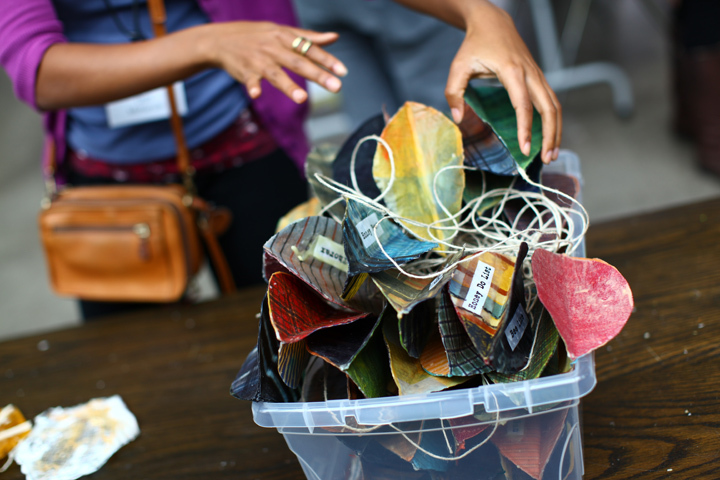 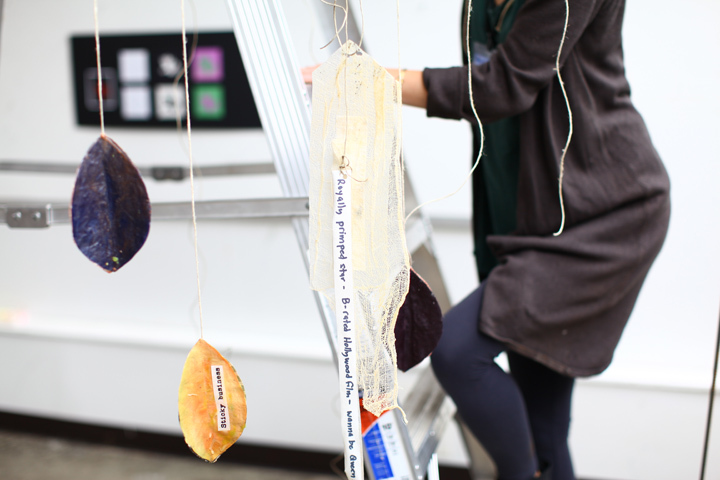 Participants were invited to create Senryu/Haiku, taking terms from Isobel’s collection of the lexicon of the bee world and relating it to human life or to nature in short poems, and writng them on rice paper strips to hang in the installation. 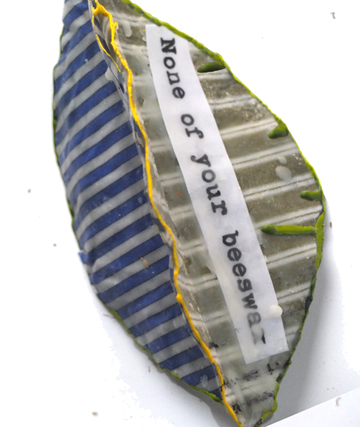 Materials include repurposed shirts, encaustic wax medium, rebar, honeysuckle sticks, twine, paper and ink.